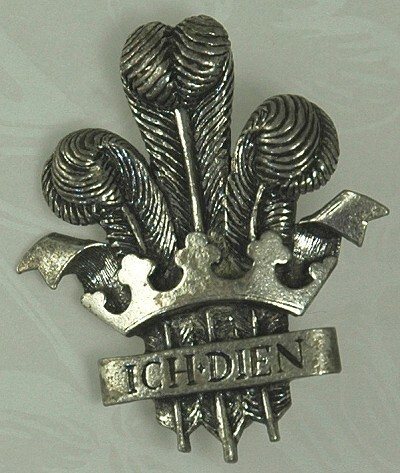 SOLD This older Miracle pin has the "I Serve" insignia in German across the front along with three ostrich feathers and a crown. The metal is silver colored and the hallmark appears on the reverse. Condition: Excellent vintage. Normal and expected wear from age noted. Measurements: 1 1/4" long and 1" wide.